Details of how flax was processed from the field to the end product, including the wide range of items from ship sails to playing cards. The impact of the building’s revolutionary iron frame on the world of architecture. Details of the mill’s machinery and technology. Working conditions at the mill, including child labour. The change of use from Flaxmill to Maltings and the malting process. 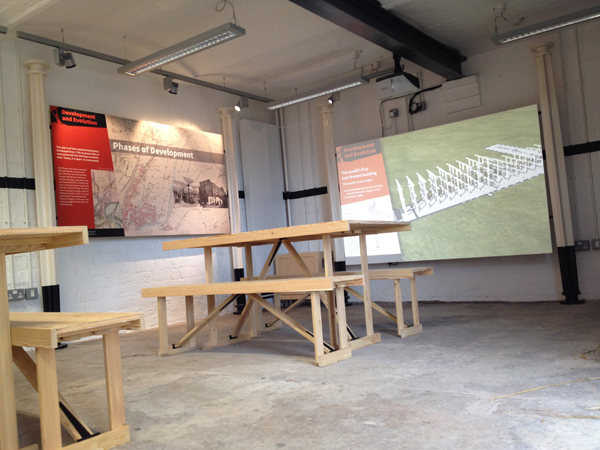 An introductory projection sets the scene, giving visitors a taste of what is to come on their visit. An animated film follows the 200 year history of the building and those who worked there. 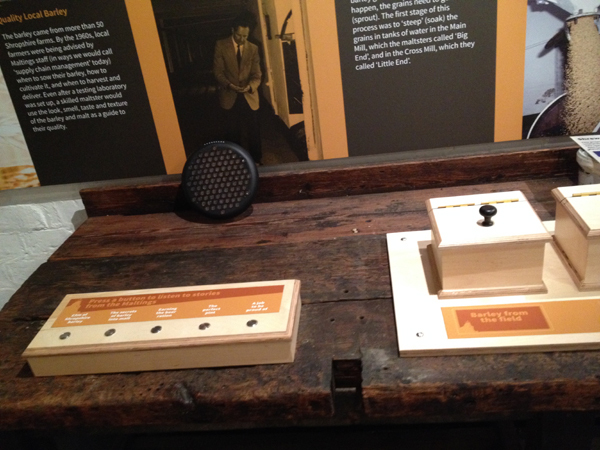 Audio is used to provide an ambient soundscape and oral history interactives give voice to the people who worked in the building as a flax mill and later as a maltings. 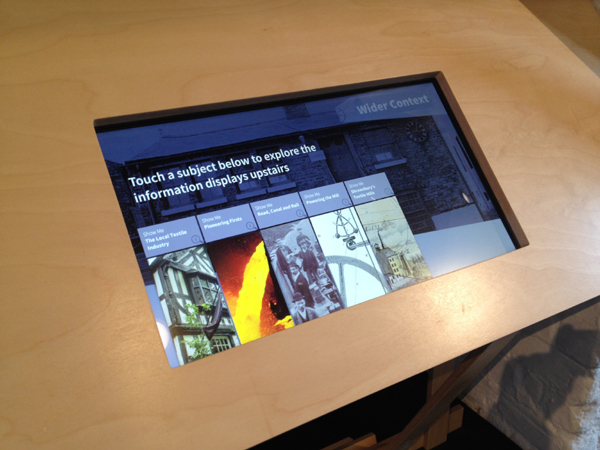 A touchscreen interactive is an important exhibit to give access to a site which is not easily accessible to everyone in person. 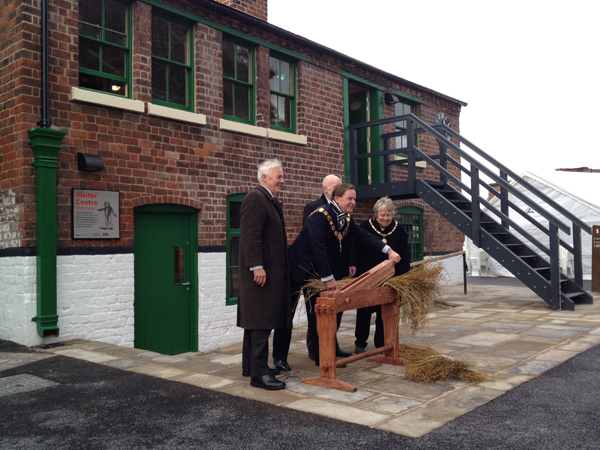 The official opening took place on 24th November 2015 with a ceremonial “cutting of the flax” by Duncan Wilson OBE, Chief Executive of Historic England, the Mayor and Mayoress of Shrewsbury, and Councillor Alan Mosley from Friends of the Flaxmill.